It was pretty cheesy. The story line was a bit odd. The acting wasn't terrific. The outcome was predictable. But, some people could like it. I liked this movie because it was a play on Shakespeare and a play on Rachael and Leah. I loved all the actors and actresses in it and I love that you could see that they were genuine in whom they portrayed.. I loved that it was just a simple moving movie with a great message. Fun, Cute, Wonderful. I really enjoyed this film. I've been getting into LDS Cinema if you can call it that. I've seen the Five Classic LDS Films and the Four Classic LDS Films, I also bought and watched the 'Singles Ward' which I thought was good. Today I received 'Anxiously Engaged or Piccadilly Romance.' I thought is was a really great film, the embezzlement part could have been done without, however I highly reccomend this movie, in fact, for the young men out there this is the perfect movie to watch with your date, over some pizza, or Chinese Food. FIVE STARS! I thought it was a great film. I love the predictable romance. It was fun to see a LDS film made in a different country that didn't make fun of the LDS religion. This is a definate for us gals! Predictable storyline, but a good shut out the world film and if you love England you'll really enjoy the scenery! This movie was better than I thought it was going to be. Nice camera work and is very much the old studio romances of the 40's. Its a film worth supporting and lets hope these guys make more. 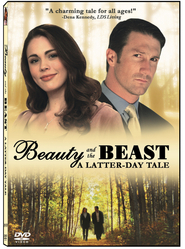 I didn't think there was much to this film to really qualify as an LDS film except that the characters were LDS. I'm not sure I understood why the guy got engaged in the first place since it seems like he really didn't know the girl. , It was nice to see a film shot in England, I just wish there was a bit more of a story. I would not recommend this movie. It's too predictable and slow moving. The characters seem flat and life less and at times plain silly and boring. Although I own this movie it is not one I would ever want to see again. Great story with an original plot. (Several sub-plots included) Great acting, with actors that were suited for their respective roles. Right amount of LDS-related material so as to identify with LDS subjects without going over the top. I would say that the storyline is believable because, well, anything can happen in this world. 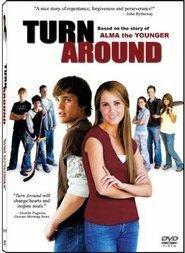 I loved this movie, this is an example of how LDS films should be made in the future! Great Story Line and Great Actors! Compared to much of what is offered in the LDS market this film is a breath of fresh-air. The film is a little slow but has many redeeming qualities. It doesn't poke fun of the Mormon religion and the acting is quite good given the content of the script at times. Over all we enjoyed the film and the locations of Scotland and England featured in the film. Picadilly Cowboy (or Anxiously Engaged) is another trite and boring LDS-themed film that was painful to watch. Sacrament meetings are more engaging. The film's production values are cheap and weigh down any attempt by the producers to be taken seriously. Thank goodness real relationships aren't this silly. Save your money and time. Pick a random film from the 1940s and you'll do much, much better. Can I still make it to the Celestial Kingdom without seeing this film? I hope so. I know we have to work out our salvation with fear and trembling, but watching a movie like 'Picadilly Cowboy' (based on its trailer and story line) would be more than I could bear. I think Elder Dallin Oaks counseled us yesterday to avoid wasting our time on such things. The "Picadilly Cowboy" is a must see! This is by far the best romantic -comedy-LDS-themed movie that has been made. It is wonderful having a thoughtful storyline along with great acting. The scenery of the United Kingdom is magnificently captured in this film. I was a bit confused as to why the name of the film changed for the DVD release. The theatrical name was 'Picadilly Cowboy'. I thought that name was quite catchy and fitting for this excellent 5-star film. This film couldn't decide whether it was for Church members or trying to pretend it had nothing to do with the Church. I was really disppointed with this film and thought it had absolutely no romance or suspense to it. This might be worth watching on a very dull Sunday afternoon, but unless you're desperate I wouldn't bother. I really enjoyed this movie. What a breath of fresh air in our current Mormon Movie choices. It was nice to have a real movie (with a plot) that has fresh new actors and actresses as compared to the same old slap stick humor (which is getting real old) and the same old actors and actresses recycled through each LDS film. It has an excellent story line and I have been waiting for it to come out in DVD so that I could have a copy of my own. This is a very well made LDS-themed film that has not received the credit it deserves. Witty, thoughtful, funny, and uplifting. My family will be buying multiple copies for gifts. I am a bit partial as I love nearly everything about England. I wouldn't say this is my favorite movie, but it was pretty good. I agree that it was a bit choppy, and could have definately flowed more smoothly. However, it is a cute movie, the writers just need more practice.